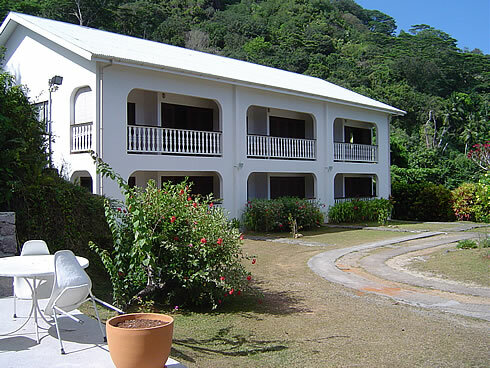 Surrounded by a tropical garden is La Résidence, a budget self-catering villa in the Seychelles. 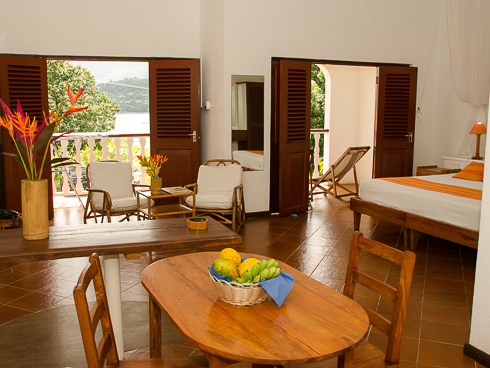 La Résidence has a quiet setting, overlooking the magnificent bay of Anse La Mouche on the southwest coast of Mahe Island. 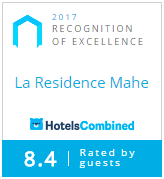 Although isolated, La Residence offers impeccable service with pride. 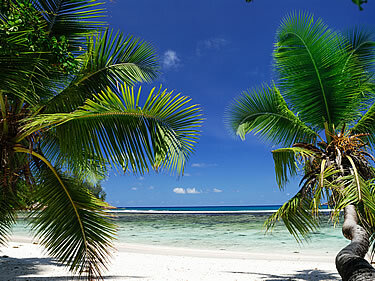 With our friendly and helpful staff, guests are well taken care of with sufficient information to go about around Mahe Island. Separate Villas (3 each): 135 sq.m. Each has two bedrooms with fan and en-suite bathrooms. Separate fully equipped kitchen. Lounge / Dining room and terrace with sea view. Studios (3 each): 60 sq.m. 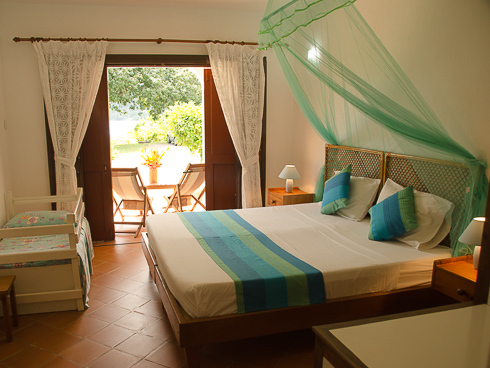 Each has a large bedroom with fan and en-suite bathroom. Fully equipped kitchenette. 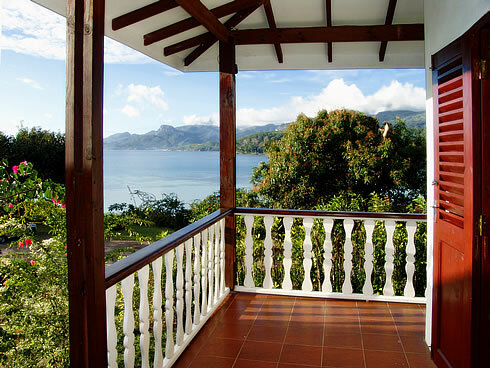 Terrace with sea view on first floor. One-Bedroom Apartment (2 each): 60 sq.m. Each has a separate bedroom with fan and en-suite bathroom. Lounge and fully equipped kitchenette. Terrace with sea view, on ground floor.